A new transparent solar cell that could be used as a window was recently developed by researchers at Michigan State University. This is a feat that was once thought to be impossible, because traditional solar panels absorb light and turn it into energy, but a transparent surface is not typically able to absorb light. This entry was posted in Think Green! 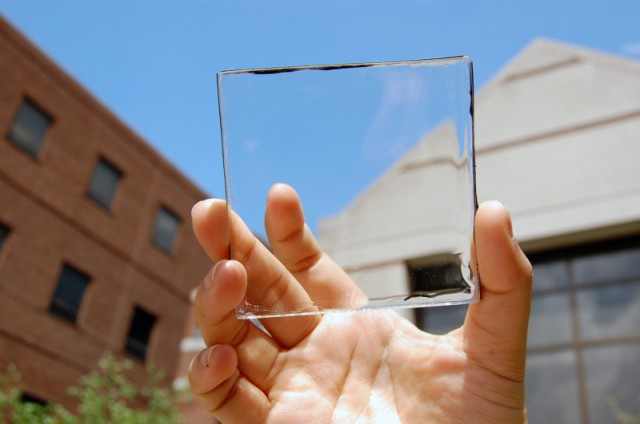 and tagged This Transparent Solar Cell Could Make Every Window A Power Source.. Bookmark the permalink.